William Blake lived in 9 houses during his lifetime. Of these only two survive, a small Georgian house in London and a cottage on the Sussex coast. It was while living here by the ocean that he wrote the words for the hymn Jerusalem. Blake’s Cottage in Sussex is where he discovered ‘England’s Green and Pleasant Land’ yet it was also where he was accused and tried for Sedition. Want to see a missing piece of English heritage saved? ...then lets buy the cottage where Blake saw Angels and wrote Jerusalem! 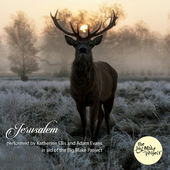 Why not buy Katherine Ellis's beautiful acoustic version of Jerusalem made specially for our campaign?! Available now on iTunes for JUST 79p! Follow this link to iTunes and download it now! For one of five copies of TYGER ON THE CROOKED ROAD, inscribed for you personally by Barry Raebeck for our campaign. Send an email to info@thebigblakeproject.org.uk for details. An afternoon of celebration of William Blake’s poetry to raise funds for Blake’s Cottage. Readings & lively discussion about his work & influence, with leading literary talents. Richard Skinner, Rowan Coleman, George Szirtes, Daljit Nagra, Ian Duhig, Martin Malone, Nuala Casey, Alex Marwook & Tobias Churton. 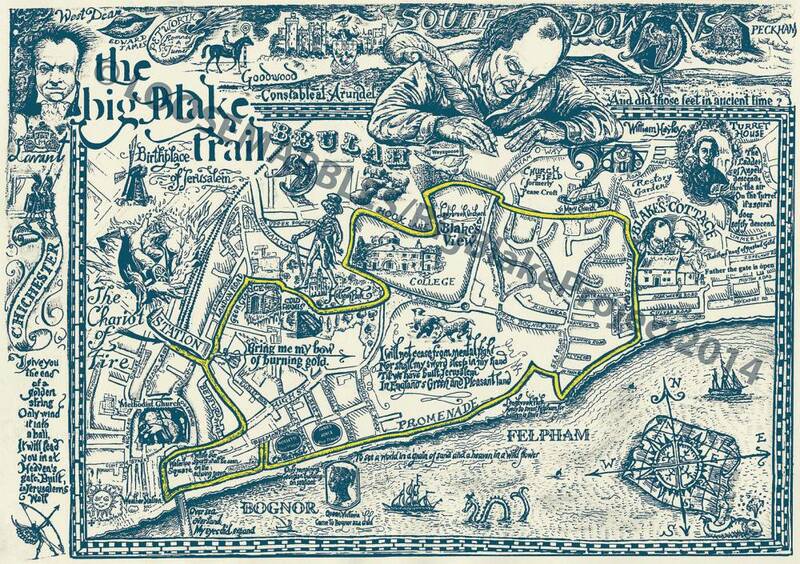 A signed copy of the Blake Trail map by Chris, strictly limited edition. Follow this link to send an email to info@thebigblakeproject.org.uk for details. We've done it - together! Jerusalem (Katherine Ellis and Adam Evans) now available!